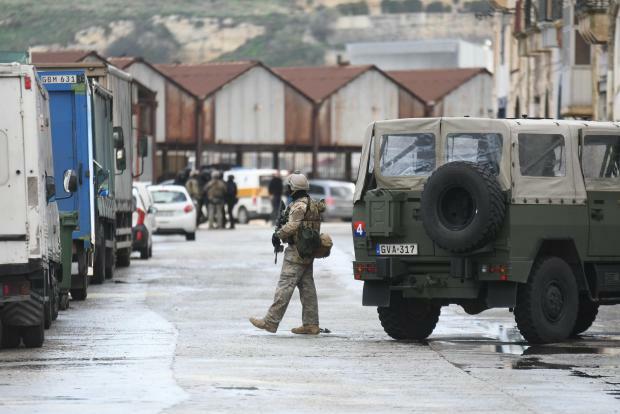 Nine NGOs noted "clear deficiencies" in the ongoing investigation of Daphne Caruana Galizia’s murder, in a statement issued to mark one year since 10 people were arrested in a potato shed in Marsa in connection with her murder. Three of those arrested - brothers Alfred and George Degiorgio and Vincent Muscat- were charged with her murder. The others were released without charge. The three men are yet to be brought to trial, a statement by the NGOs read, adding the investigation had failed to yield any further tangible results. The international NGOs, including Reporters Without Borders, the Committee to Protect Journalists and the International Press Institute, called on Maltese authorities to stop "all forms of attack" against Ms Caruana Galizia and those who continue to fight for justice. The organisations said Maltese authorities failed to report accurately on the free expression climate in its report to the UN Human Rights Council for a periodic review. The report did not include Ms Caruana Galizia’s assassination or other areas of violation that took place in Malta, the group added. They also urged authorities to establish a public inquiry into whether the journalist’s murder could have been prevented and to determine whether any changes to law were required to help protect journalists. Maltese authorities continued to destroy a protest memorial honouring the journalist and constructed elaborate barriers to prevent people from exercising their rights to freedom of expression and peaceful protest, the organisation said. The organisations noted a climate of free expression "continued to deteriorate" since their mission to Malta earlier this year. In their mission, the groups had told the Prime Minister the way Ms Caruana Galizia had been treated was "a disgrace". The statement was signed by Reporters Without Borders, the Committee to Protect Journalists, European Centre for Press and Media Freedom, European Federation of Journalists, International Press Institute, International Freedom of Expression Exchange, Index on Censorship, PEN America and PEN International.